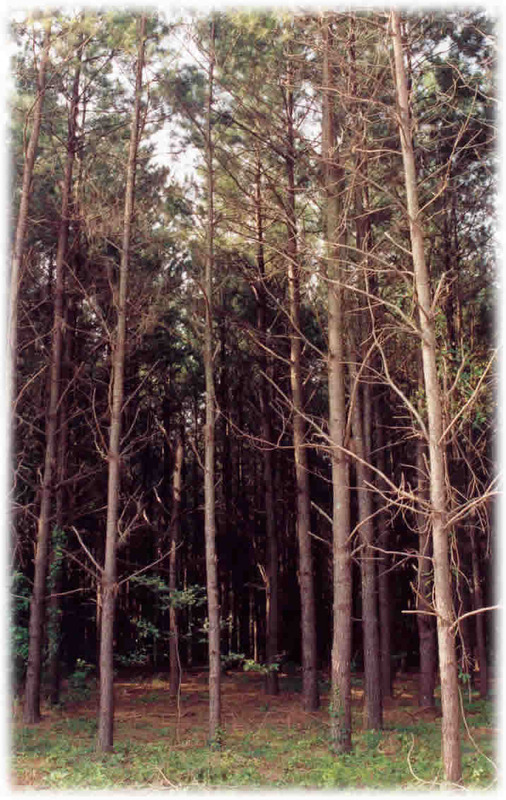 This photo shows a mature stand of pine sawtimber. This stand of timber was selectively marked to remove all poor quality trees. 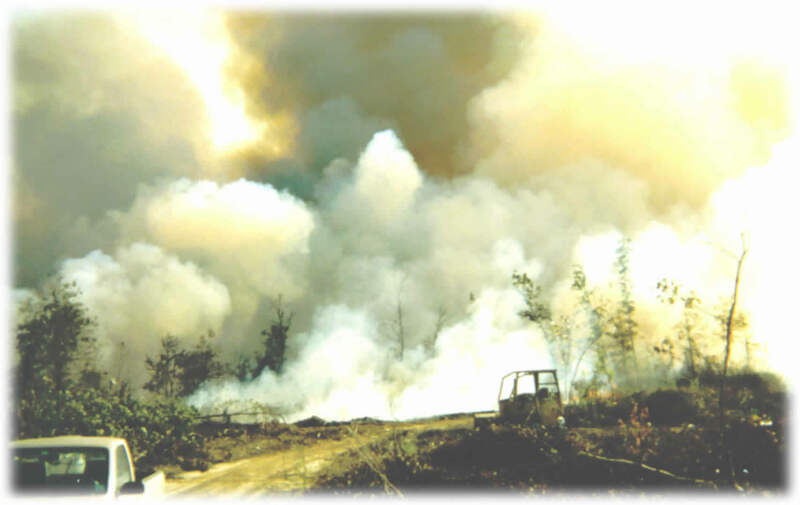 This stand was also prescribed burned after the harvesting was completed. The result is a thick understory which provides both food and cover for many species of wildlife. Not all parcels of land are suited for this type of management and not all landowners have the same objectives. Our objective is to help you meet your objective. 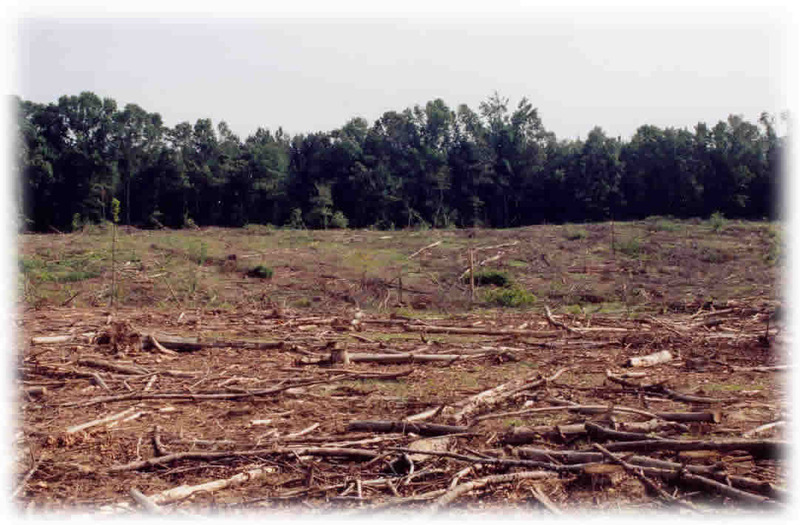 This is a photo of a clearcut, which is not a pretty site. A clearcut is the end result of one process and the beginning of another. Site Preparation and Reforestation is the logical next step. 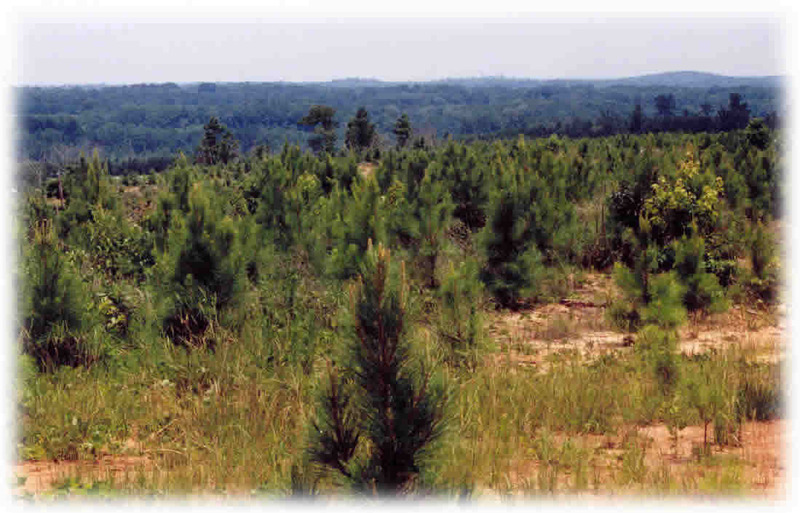 Money spent on reforestation is a good investment in the future value of your property. A good Site Preparation burn is probably the next step. Other forms of Site Preparation may also be in order. This may include, shearing and raking with bulldozers, chopping, or aerial spraying with chemicals. Tree Planting would follow the appropriate site preparation prescription and before you know it, a new forest for the next generation has been born. The growth process should be monitored to detect and correct any potential problems such as too much competition from undesirable species, insect or disease damage, storm damage or beaver damage. A few years later your new forest will look like this. The canopy is closed and nothing is growing in the understory except around the edges where sunlight can get to the ground. The growth rate of the trees has slowed and there is nothing for wildlife to eat or bed in. You know it's time to thin but how can you be assured it's going to be done right? 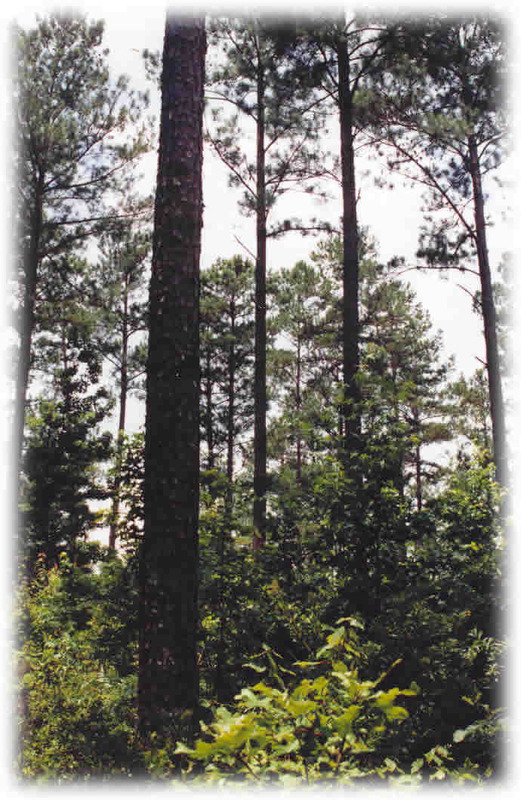 Southern Natural Resources, Inc. can develop a thinning plan, see that it is implemented properly, and monitor the entire operation. This is a photo of the same plantation as the one above. A majority of the poor quality trees have been removed. The canopy is open so light can now reach the ground. The understory is beginning to green up and you can bet the wildlife population is going to increase as a result of having more food and bedding. 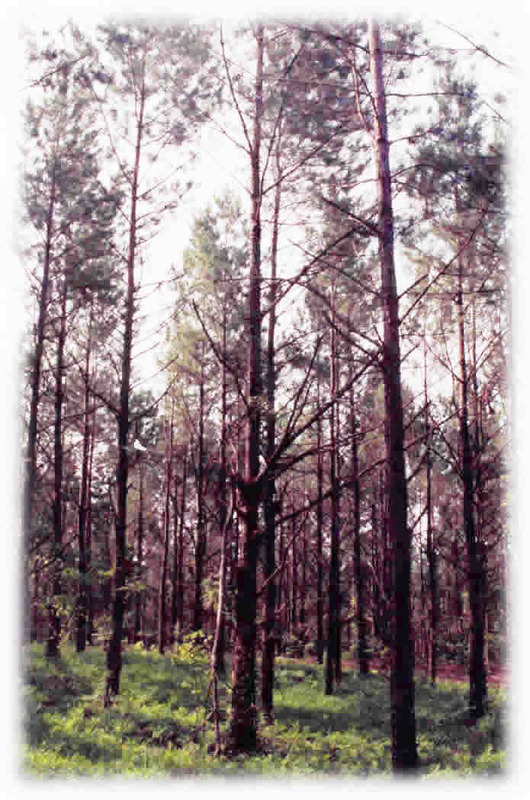 The growth rate of the residual stand will increase because fewer trees are competing for the same amount of water and nutrients in the soil and the crowns are able to absorb more sunlight.